Recently I’ve come across a program called Traffic Authority and I decided to write my own review of this system. To be honest, I was skeptical about this program before I even visited their website and when I finally visited their site and watched their promo video I realized immediately that their so called amazing system is nothing more than a hype. The owners of this program, Greg Chambers, Doug Wellens and Chad Stalvey claim that it’s a complete system that can make you thousands of dollars and it’s the most exciting opportunity on the entire web and they even promise that you can make money like Facebook and Google. Claims are big, expectations are big, commissions promised are big. Let’s take a closer look at the Traffic Authority to see if it does live up to its promises. 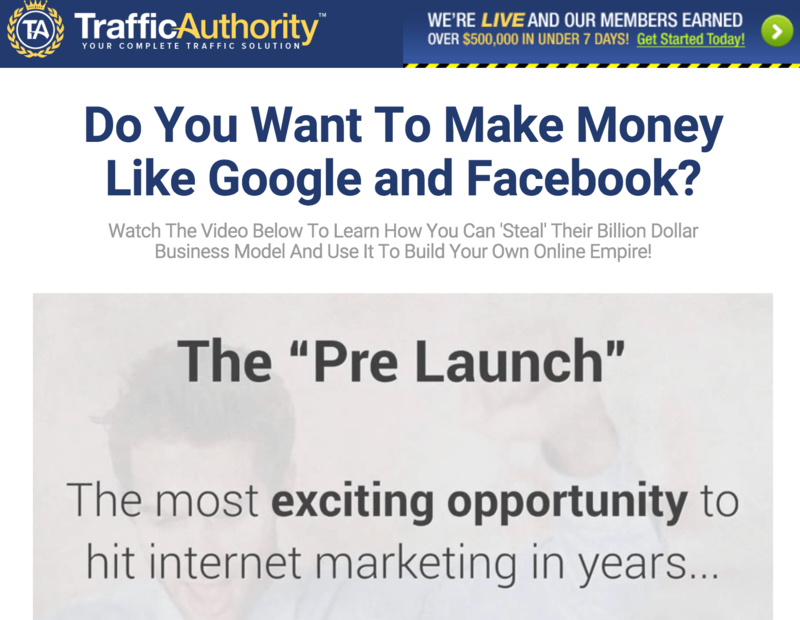 Traffic Authority is claimed to be a complete traffic solution that sends you premium on-demand traffic in order to help you grow your business and start making money like Google and Facebook. Once you become a member of this program you need to buy expensive traffic packages and promote this system to other people in the hope that someone will buy it and you will earn a fat commission. The idea is not new at all. All you have to do with the program is spend your money without any guarantee that you will make any money at all. 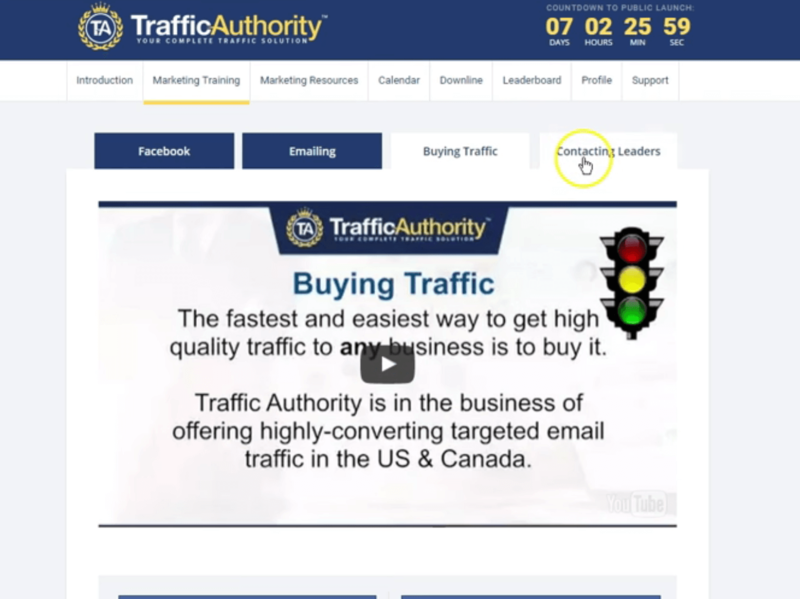 As I said above, Traffic Authority is mainly geared towards selling you expensive traffic packages and contains some training materials with pre-written messages. It’s not a program that will teach you how to build an online business based on your passion. It’s just a system that you have to promote whether you like it or not. The good news is that they pay very generous commission for each sale. But promoting expensive packages is not easy and in order to drive traffic to your offers you need to buy traffic from Traffic Authority which is not cheap. Or you need to be extremely active on Facebook and use their prewritten posts or private messages in order to promote Traffic Authority on Facebook. There is nothing special about this training and you can find all this info on other sites or YouTube. But it’s good that they have prewritten messages. The bad news is that other people who join this program will use the same messages and it appears that everyone who joins Traffic Authority is going to spam Facebook using the same prewritten stuff which is not good at all. They have also prewritten emails and solo ads which is good and bad for the same reason mentioned above. Then comes another part of Traffic Authority program which is their main part that makes them the most money – the traffic. With all these packages you get website, materials etc. The average cost per click is between $1.37 -$1.63. This is of course not cheap at all. I normally buy traffic from Bing&Yahoo (Bing ads) and one click of super targeted traffic costs me approx. $0.14 which is much cheaper than buying this traffic from Traffic Authority. I’m not saying that traffic that comes from solo ads is useless. Some people get pretty good results with it, but the price is not cheap and the traffic is not laser targeted. You just throw your offer onto someone’s email list in the hope that someone will opt in or buy your offer. There is no guarantee at all. Even if you have one or two sales you must make enough to be profitable or otherwise you will be wasting your money on these expensive packages and getting no results you expected and finally you will end up completely frustrated. I’m not trying to see everything in negative light. This is very realistic analysis based on real life experience. That’s why, my main issue with all similar programs like Traffic Authority is that they mainly focus on paid advertising which is not always the best option for people that are just starting online. The main idea behind these traffic packages is to “help” you drive traffic to your website and sell the same traffic packages to other people. The owners of Traffic Authority explain this process as follows: You buy their traffic packages and then as the owner of these packages you promote them to other people and since traffic is the key to online success other people will buy these packages from you over and over again and you will be making money for years. Sounds great, but this mechanism will work only if you can convince other people to pay that much money and buy these expensive packages. If you buy these packages and can’t sell them you will be a loser. To be honest, I wouldn’t pay so much money for these packages. It’s not easy at all to sell high ticket items on the internet. A friend of mine was involved in a similar business and ended up wasting over $7000. The main problem with Traffic Authority is that in all their promo videos on their website they repeatedly tell that their program is a complete system and you will never find anything close to it. In reality Traffic Authority is geared towards making more money off of you instead of helping you and by joining this system you will be doing the same in order to make money. Trust me and my experience, selling high ticket items requires serious investments on paid advertising and experience with no guaranteed results. Does Traffic Authority provide any real support? It looks like inside the members area they have only FAQ section and email address. To be honest, this is not what I expected from a company that asks me to pay a few thousands of dollars for their services. I’m sure their support is outsourced to someone who doesn’t even know the subject and I’m sure it will take a few days before you can get any quality response. All these tools are of course very helpful for your online business because building a list is an essential part of any online business, tracking and testing can give you a lot of important info about your traffic and help you increase conversions. There are definitely some positive sides in the program, but in order to be able to promote their packages and earn fat commissions they promise you, you need first to buy those packages. You need to pay for the training which is $97 per month, you need to pay $27 monthly for the tools. There is nothing free inside the members area, only pre-written messages and some short training videos. It becomes clear that the owners of this program have created this system for the sake of making money, not helping folks. They promise that your quick action will pay off for you for years to come. The main idea of the product is to make you a reseller of the Traffic Authority products. But the question is: can you sell such expensive products? Or do you think it’s easy to convince people to buy them? Are you ready to pay so much money for the expensive traffic packages and pay monthly for the tools and training? Plus, they don’t even teach you how to drive traffic from search engines which is very important and an essential part of any online business. Search engine traffic is a free and targeted traffic and you definitely need it if you want to succeed online. They don’t teach you this because they want you to buy traffic from them. That’s the issue. And that’s why I don’t like Traffic Authority. My final opinion about Traffic Authority is as follows: Traffic Authority is not a scam because it provides you with some helpful tools and training. 1. But their claims are unrealistic, promises are false, traffic packages are expensive and you always need to spend money in order to get traffic. 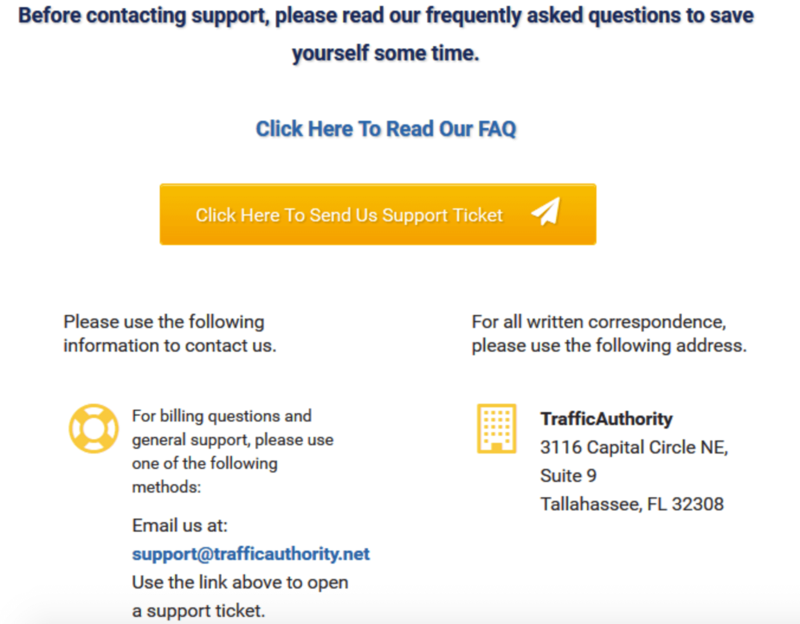 If you ask me: Is Traffic Authority a scam? No, it’s not a scam. If you ask me: Do You recommend me this program? No, I don’t recommend it. If you ask me: Do you have any other alternative? Yes, see below. Hello i was looking on your website and i se that you have 6.73 k links to it also it is old age wbesite from 2011,t ižhis is authority factor also UX factor that is authority if you are geting trafic with low bounce rate you will be only banned and low ranked on google. One another thing is about links spaming or automatic link building is weary bad for SEO if you make guest post and it is on ewry page plagiarism that is spamming and google algorithm will find that and you will lose your rankings. You also have boot trafic there is chinese program, people on fiver are selling trafic like this fo 5$. Eweryone have that program and it opens website in back of someones bowsr also there is option to make fake clicks and it imrowe bounce rate but if google boot look your website and it doesnt find good UX factors Bounce rate is nothing. To buy link is not recomended by google my advise is to do white hat seo slow and with patientce. Write good articles ower 1500 words like this one make link from ORIGINAL PR and put it on just one website one PR on one website with links and do 2 tier strategy on that article with comments with link and shares on social networks and you will get authority to that PR and you will get strong link to your wbsite. UX factor now in SEO is 30% of job backlinks are 50% and 20% other internal linking, sped etc. I appreciate your input to my post but it’s not so much related to my post topic. Link strategy involves many aspects and it’s not easy to get it right. Sometimes even links can’t help. Sometimes quality content doesn’t help. It’s really hard to say how to rank high in search engines. Rules always change. Thank you for the information. my backround, im a 34 year old, ooperator in st. louis missouri. always wanted to sell, every careeer aptitude test places me in marketing, and as far as i’ve come i have at least enjoyed learning this game, to the point though unfortunatly i can feel it coming before it starts. not a good feeling . I am 100%commited to making this work , in fact its 4:12 am right now and i have been up posting all night on free sites so i can come up with the money to continue my dream of owning an online buisness! sooooo the first step i took landed me with rory ricord. i wont say he is a scam but honestley im not even sure who i paid OSB OR RORY , PEOPLE WERE SETTING UP INTERVIEWSTO INVEST WITH THEM….Did not feel right, i am still enrolled there by bthe way, but in my looking i came across digital altitude, and i Do believe they are legit, I WOULD LOVE TO HEAR YOUR TAKE ON THAT AS WELLL IF YOU DO NOT MIND, BUT I DONT HAVE THE MONEY AND I CANT GET FINANCED TO GET THE MONEY SO IM DOING WHAT I LEARNED FroM THEM AND RORY TO TRY TO COME UP WITH IT. im desperate which is where the crooks want you, so i came across traffic authority and everything was telling me its the same old game, they got me for 47$, Ill be veryifying thier money back garauntee tomorrow…..doing more research i asked google if there is a single entity in online buisness and marketing that is legit?????? your name came up and i like what i heard. I truely would like to hear your thought on digital altitude, and would like to know are you a mentor for first time marketers, or online buisness set up. what service you actually provide. I may be extremley interested. either way, i really appreciate your post please feel free to contact me as well. I totally understand your frustration. Regarding Digital Altitude you can read here. Generally speaking I don’t recommend it. Regarding legit programs I can recommend several programs. You can choose any of them. I tried them and I can say they are legit. If you have any other questions let me know. do not buy into it its a scam!!!!!!!! needs to be taken off internet there a scam artist. Thank you for the comment Shawn. I hope it will be helpful for others that are thinking of buying Traffic Authority. So do you have any recommendations for reputable company to work for online from home? Try this program. This is my favorite program since 2013 and I’m a member of it too. Sorry, I can’t help you because I’m not affiliated with Traffic Authority. In fact, I don’t recommend Traffic Authority. Rufat, like your straightforward review. I personally dislike those so call gurus who make big claims, shows fast fancy cars, houses where there is a genie somewhere to make it all happen overnight. I agree with your definition and explanation and I think Traffic Authority is one of such programs although they don’t exactly promise fancy cars. But do make false promises and tell that you can become a seller of advertising like Google. Doesn’t it look ridiculous? The difference is huge. Google sends you free traffic while traffic that comes from Traffic Authority is not free. Yes, this is true that Google has Google adwords program which is a paid traffic. But the cost of such traffic is much lower than traffic provided by Traffic Authority. The traffic packages offered by TA are so expensive that I can’t really imagine or believe that someone will buy these packages. There are websites that can send you a decent quality traffic for a much lower price. Another huge problem is promoting these expensive packages to others. Yes, I know that Traffic Authority offers a good commission. That’s great. But it doesn’t make any sense if you can’t sell this package. And I believe it will be extremely difficult to sell such expensive packages. Of course, developers of this program will be much richer because people like you will be buying these packages and then struggling to sell them. Most won’t be able to sell them while the developers will have their share of profit in any case. That’s why I believe this program is by far not the best opportunity out there to make money online. Firstable thank you for exposing all these dubious programs. I’m very new to online marketing so I still have a lot to learn but I’ve been noticing bunch of posts from fb where people promoting their programs to increase traffic very fast. I’m not sure how trustworthy they are. Because so far I’ve learned that the best way to increase traffic is just keep creating contents and be patient. What do you think? The main problem with Traffic Authority is that in order for you to drive traffic to your website you need continuously spend money on traffic packages because without traffic your business will die. In order to drive free traffic you need to create a lot of content. There are some internet marketers who build their entire businesses on paid traffic, but they have a lot of experience in this field. 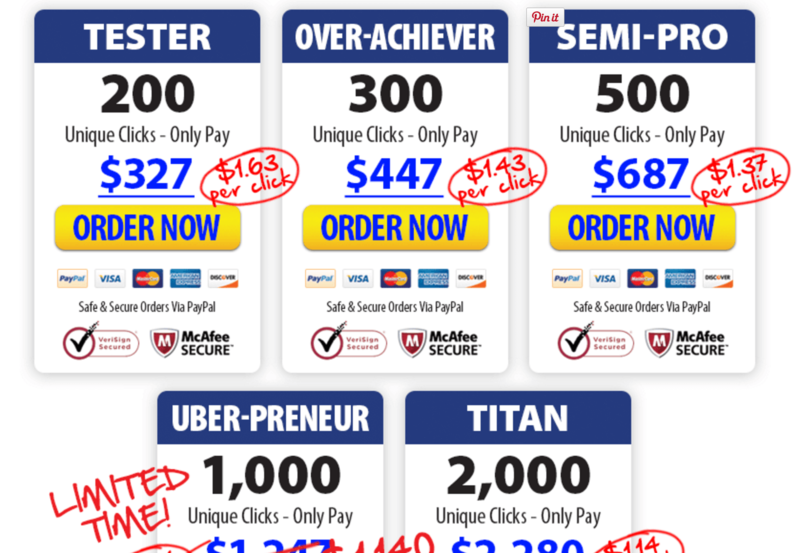 Ask any experienced internet marketer and he will tell you that they spent a few hundred or thousands of dollars before they could master the art of paid advertising. When it comes to newbies, I’m pretty sure that most likely you are going to waste all budget for these traffic packages without any results. When it comes to promoting expensive traffic packages that you are encouraged to promote inside Traffic Authority, I’m pretty sure you are going to struggle with it with a very limited or no success at all. When you are new to making money online thing you should always start with free methods and then gradually move on to paid methods. Anyway, I don’t think Traffic Authority is the best option out there. Thanks heavens I read your review. Just a week back I was looking at this option, and here I got all the info I need to make a decision. I don’t like the up sells part of this business and the fees to start off are not that cheap. I don’t recall you mentioning anything about a coolin off period once you sign up with them. In any event, I shut the door closed on this one thanks to you. I’m really happy you found what you found what you have been looking for and I’m happy you have come to the right decision. I think no one likes upsells because the main idea behind any upsell is not helping you, but making more money off of you. And the most money online is made through upsells. In fact, as you can see you are not going to learn any new skills here. It’s just buying expensive stuff and then selling it to others. That’s not a business model. Oh this sounds terrible Rufat! I would hate to try something like this. Do they say before you buy into it that you need to sell their product to make money? Or do they just keep quiet about that until you have handed over your money? I hate this sort of thing, it really irritates me that they make unrealistic claims. I watched their promo video and they don’t tell anything about their opportunity. They just tell that you will be making money like Google and Facebook without any further explanation. As you can see form my review, the program is not useless, it does provide some value, some training material, captures pages, link tracker, pop ups, exit pages. This is fine, but when it comes to learning real strategies for building a real online business, Traffic Authority is useless in my opinion. Once you join it, your only task is promoting their program and that’s it. It means you buy traffic packages and sell them to others for the sake of commission and without understanding what online business is all about. In my opinion, this is a very specific program that can’t be recommended to everyone. Very good article Rufat! Again, a system that one needs to promote, hoping to make some money out of it. Anyway, I’ve always had bad experiences with paid traffic: it’s not “natural” traffic, so it always leads to poor results. Paying more than $1 per click is way too expensive: one can have better results with solo ads that range from $0.40 to $0.70 per click. I understand your frustration regarding paid traffic, but to be honest, I can’t agree with you that paid traffic is not natural. Paid traffic by which I mean PPC is a laser targeted traffic and I had some success with it. If you know how to do it you can make a lot of money without waiting for Google rankings. I know people who are making thousands of dollars thanks to using applying PPC and Facebook ads to their businesses. Just you need to know how to do it properly. It requires some time and patience to tweak your paid traffic campaigns until you start seeing good results. To be honest, solo ads is a good source of traffic, but you must know from whom you buy this traffic. Is this traffic responsive? Many people online sell solo ad packages with a list of subscribers that have been burnt and are not responsive anymore. You should be very careful. As for Traffic Authority, as I said in my previous comment, the program is by far not the best one on the internet and it’s very specific product and it’s not for everyone.